Hello, looks like this nice script does not working in newest blender vertion, is there hope that some one fix it? I just made a fixed version (v0.3) for Blender 2.79. Hope it will help. 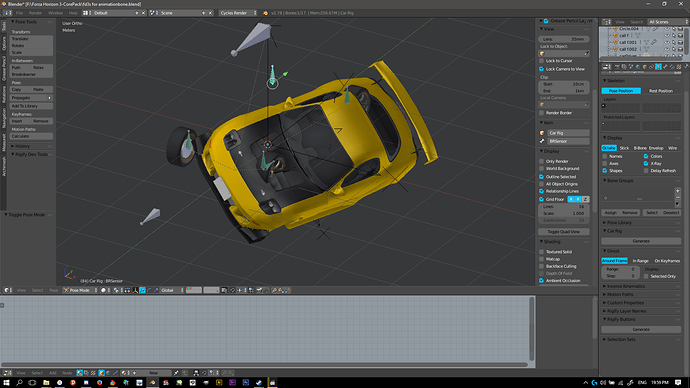 I haven’t tested it thoroughly but seems to be pretty ok.
rig car panel and buttons are only displayed when the current selected object is a car meta rig. This will break backward compatibility: if you open a scene with a car armature created with version 0.2, it will be not identified as a car meta rig and the car panels will not be displayed in the menus.